The separation of the two Galileo satellites from the Fregat upper stage took place successfully 3 hours and 48 minutes after lift-off from French Guyana. Immediately after separation, the launch and early operation control centre acquired the two satellites within one minute. Both satellites then entered into their Sun acquisition modes and deployed their solar panels. An hour and a half after separation, the launch and early operation control centre and the flight dynamics experts performed a first assessment of the satellites' orbits and confirmed the successful orbital injection. 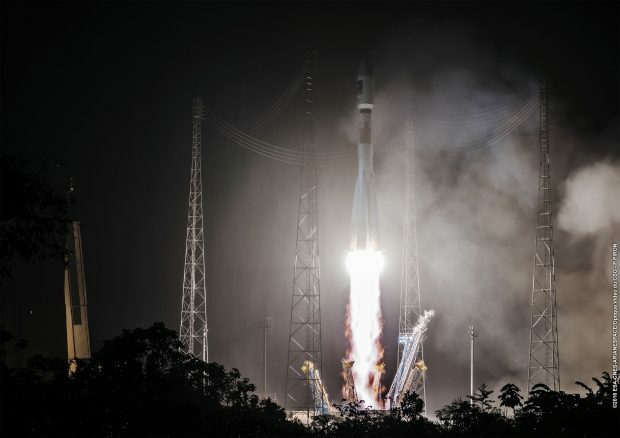 This is the first successful Galileo satellite launch this year. The next Galileo launch is expected take place by the end of 2016 with an Ariane 5 ES launcher carrying 4 Galileo satellites. Why do I get this feeling of deep distress when it is and more or less can only be a Russian launch vehicle.